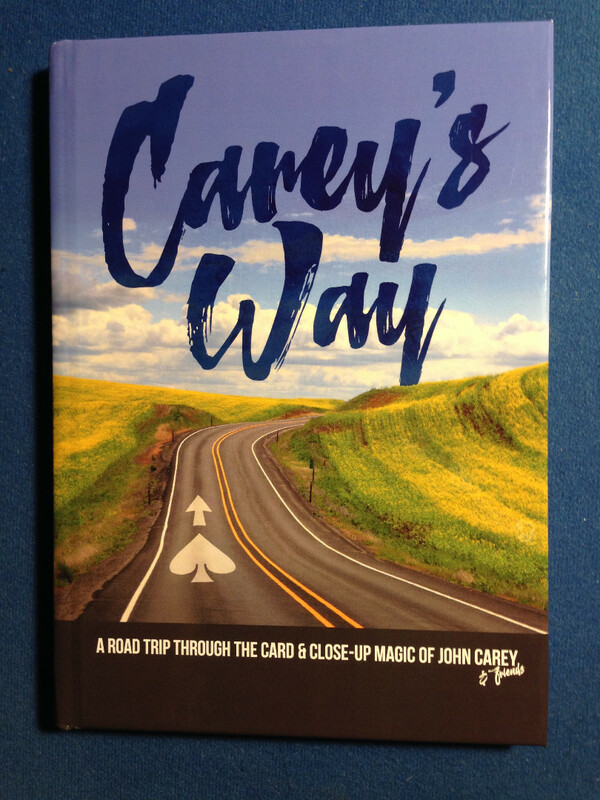 Categories > Card Magic > Carey’s Way Book now available to pre order! 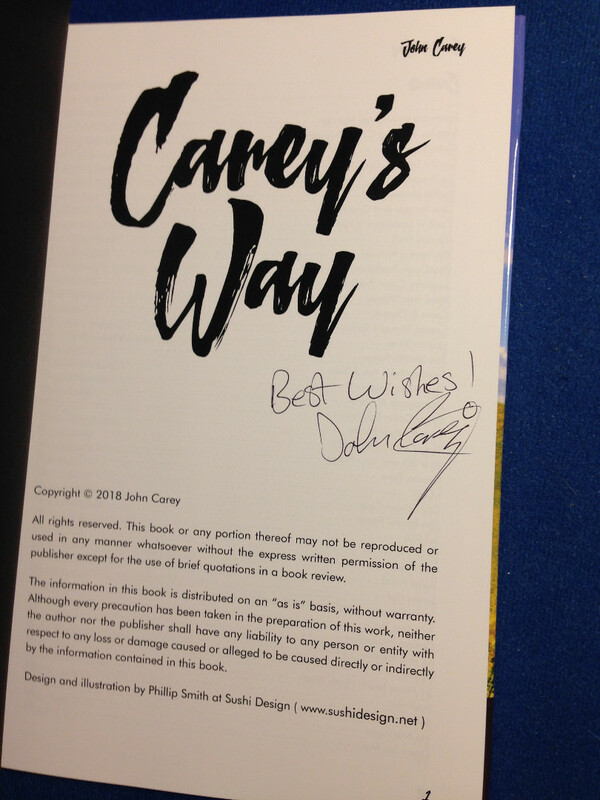 Absolutely thrilled, stoked and delighted to announce the pre publication doors are now open to my brand new book, Carey’s Way! Head over now to the website now to check it out, where you will find full information of content plus multiple video demonstrations and much more. The books are expected to ship out worldwide on January 25th. The book is over 180 pages hardbound and crammed with 80 plus effects covering card magic, coin magic and Mentalism. I genuinely believe this to be my best work to date. A massive thanks to Phill Smith for his amazing design and I.T work on this project. I can’t recommend his work enough. The book will retail at £35 but those people pre ordering now can buy it for just £30 plus shipping! But theres more. Everyone who pre orders will receive the ebook edition of my previous book, Me, My Cards and I totally free of charge! There’s a free sample of 3 of the effects on the site too. Awesome news, John!! I’ll be picking this up. I’m wishing you much success in 2019! I love your work John! I will be ordering your book! Here’s The Rascal from the book! One of the most enjoyable aspects of publishing my books is the collaboration with the design genius, I.T Ninja and damn nice guy, my mate Phill Smith. Phill has very kindly contributed a guest chapter to Carey’s Way, including the following strong effect. That’s just one of over 80 items in the book on pre sale now. Head over to the website where there’s full information, a free 3 trick sampler and so much more. I tried signing up for the 3 trick sampler but received a message that I am already subscribed. Is it still possible to get the 3 trick sampler? Excellent! Email sent. Thanks John! The new book ships out next Friday 25th Jan. Many thanks John. The books ship out tomorrow guys, a couple of days ahead of schedule. The pre order special price is available until Friday. I ordered mine yesterday and very quickly received the bonus PDF of John’s book, “Me, My Cards, and I”. For those who missed my email, John gave me permission to post a document containing three free effects from his new book over in the Session Room. For those who are wondering how to get the password to that section of the forum, it requires you to be an active member of our community. I use the posts that you make as a way to gauge whether or not you demonstrate a positive, friendly, and respectful demeanor. John just posted on Facebook that he just received the books and will start shipping internationally tomorrow. Hurry up if you don't want to miss the pre order special. And I just placed my order a few hours ago... Hurry up if you are interested. You are running out of time. All pre orders shipped! My sincere thanks to everyone who pre ordered. Can’t wait for you to get your books and enjoy the material. The pre order special price is open until this Friday guys, including the free Me, My Cards and I Ebook. Then it goes up. Thank you John for autographing! I´m really looking forward to dive into it!